Plans are afoot for further protests against changes to the way legal aid is delivered to take place at a landmark legal event next February. The Bar Council, which represents barristers and solicitors across the UK, has revealed how it may boycott a high profile event celebrating the 800th anniversary of the sealing of the Magna Carta. At a meeting over the weekend members of the council talked about withdrawing support for an anniversary conference which Secretary of State for Justice Chris Grayling will be attending in February 2015. 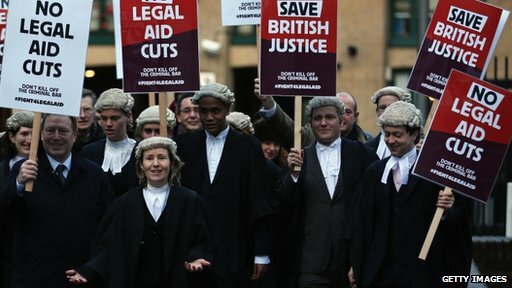 The news comes as part of continued opposition by legal professionals to proposed cuts to the legal aid budget and further changes to the way it is delivered. A raft of changes took effect in April last year, when a number of types of case were made ineligible for legal aid. These types of case included many family law matters, such as divorce and child contact, and also encompassed employment, clinical negligence, and housing law. There are still some circumstances under which legal aid may be available in these circumstances, which can be determined using our legal aid eligibility calculator. In the face of these changes chairman of the Criminal Bar Association, Nigel Lithman QC, said he had not felt able to attend a City of London reception last week, at which Mr Grayling was due to promote the conference. Mr Lithman has also promised to make a further announcement on whether barristers and solicitors should stage more walkouts in protest at the move, following a half day strike which took place on January 6. Meanwhile other leading barristers and solicitors have been searching for measures which would be less disruptive to court-users than walkouts while still placing pressure on Mr Grayling. The Bar Council will now look for support for its plan to boycott the conference from other legal groups, including some which aren’t affected by the cuts and the Law Society. Should the boycott go ahead it would make for an embarrassing situation for Mr Grayling, particularly with lawyers and constitutional experts in the USA taking a great interest in the anniversary of Magna Carta.